I remember when I did go look at the DS-16's the focuser is not in that difficult a location most of the time because the telescope is so huge. The DS-10 on the other hand is difficult most of the time only because of the extremely short pier. I have no trouble at all viewing with my fixed tube Edmund 6 inch. I'll get to relive the whole DS-10 experience soon, I'm finishing up servicing the mount. I may need to repaint the counterweight which will set me back a day or two. There's nothing special about the name "Deep Space" or Deep Sky or whatever the DS stood for (we used to say "Diebel Special", but he didn't like that much). John made up and used names and words that he thought sounded good: Like "Meade", "System 2000", and other buzzy terms that don't otherwise mean anything. I remember when I first saw a DS-16 at RTMC (after I no longer worked at Meade). 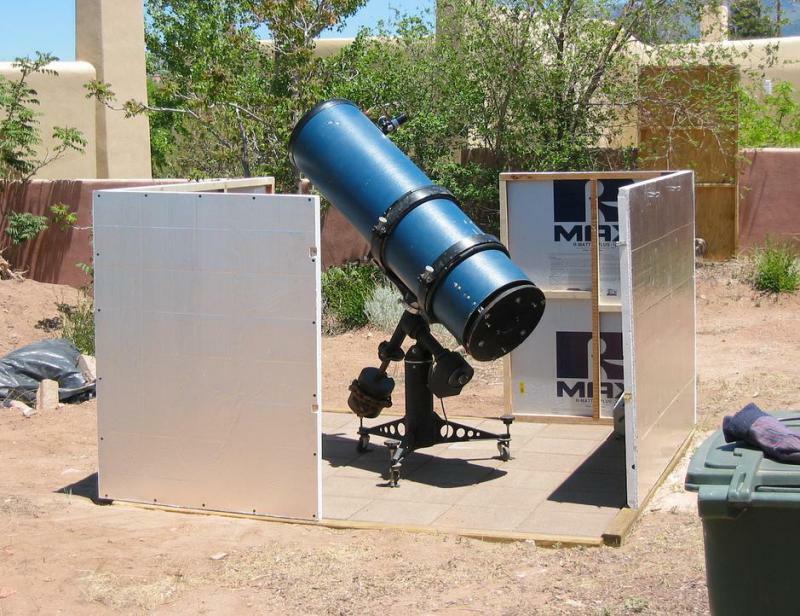 Ron Ezra showed it to me and showed how, with the primary mirror mounted forward instead of having two holes for moving the mirror, you could use a star diagonal to mitigate the focuser orientation being awkward at times. I do have to 'fess out, though. I never liked the sonotubes or the non-rotatable tube. 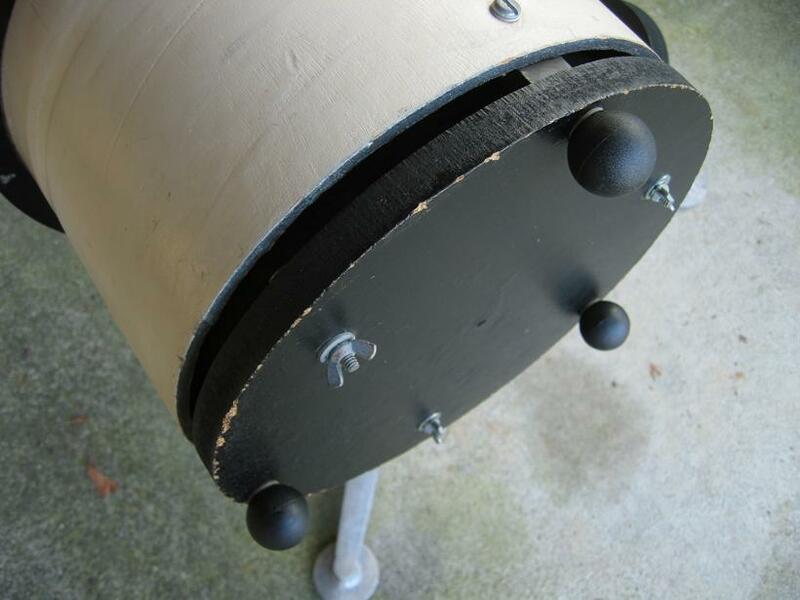 But then, I'm a die-hard old-school equatorial mount kind of guy. I still don't like Dobsonians (but I fully expect to have to build one someday, because I want a meter-class scope someday). I love the Research Grade mounts, with the sealmaster bearings and the rotating rings. Best combination of ideas ripped off Cave and Optical Craftsmen. The patterns for the castings were made from a Cave mount that had been taken apart and had "Astrola" ground off. Then the thrust surfaces were added to the axes (ripped off Optical Craftsmen). To me, the ideal classic "factory" GEM would be an Optical Craftsmen Connoisseur with Cave rotating rings. Because the OC also had the driven RA circle, which the Meade should have copied but didn't. Edited by tim53, 18 April 2015 - 11:05 AM. My new DS-10 is ready. Daytime trials look good. It looks as though I will be seated while observing which is fine with me. The Parallax rings allow semi-rotation of the tube, this keeps me from having to do gymnastics. I made a few simple modifications. Since I like to remove the 25 pound counterweight whenever I move/setup the mount I replaced the short steel set screw with a long brass one with a wingnut soldered on the end. Edited by actionhac, 18 April 2015 - 02:39 PM. Looking good! I bet that's a fun scope to use. I think it will be fun. I'm going to try a star diagonal as you mentioned a few posts back. Its begging me for good eyepieces. 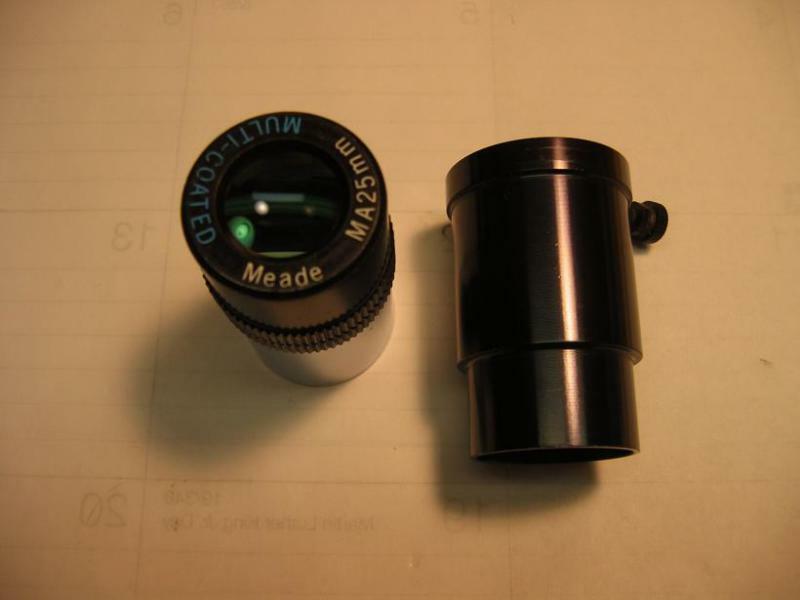 This is the eyepiece and extension tube that you got with the scope. Without the extension tube you can't reach focus. Enjoy your DS-10 rebuild, Robert. Should be a fun project. Based on what I've read, the 10" mirrors' figure were better and more consistent than the 16". The primary was horrible, 1/2 wave at best, and was refigured by Mike Spooner and is now very good. Frankly I have a love/hate relationship with it. The mount is pretty good, and it tracks well. Rotating the OTA is a chore, like hugging a large water heater. The focuser stinks. Even with fans installed, cooling is sub-optimal. 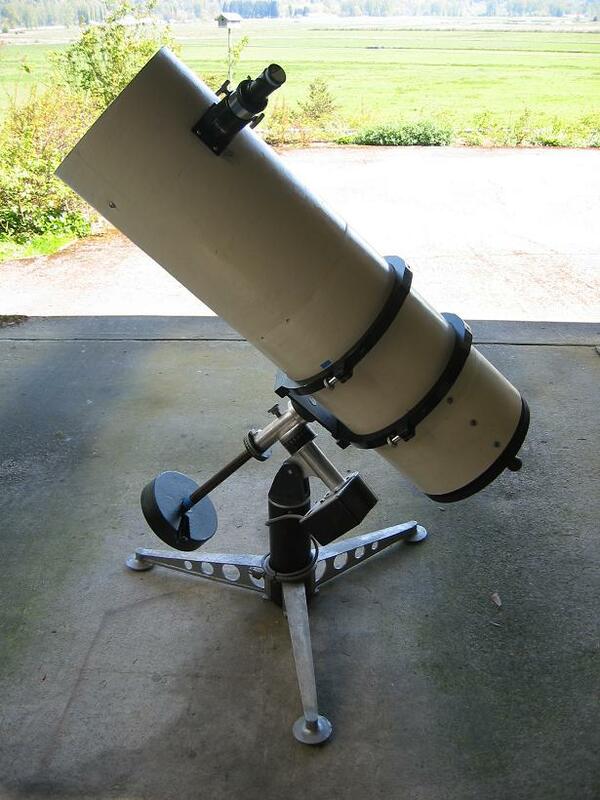 Like Loren's scope, mine doesn't hold collimation when the OTA orientation is changed significantly. Its in the primary cell. For all the bad press the single-vane secondary gets, mine is remarkably stable. I could go on. But... if I plan my observing and work one part of the sky, I absolutely love the thing. There's nothing in my experience like having 16 inches of tracking aperture. Those moments are what stops me from converting it to a dob, which in most respects would make a lot more sense for me. Maybe it will happen this year. Edited by precaud, 18 April 2015 - 06:44 PM. I read your thread John. Your right 16 inches of tracking aperture would be great. Its interesting as the aperture goes up we start needing 2x6's, anchor chains, hand trucks, tractors, etc. I went through similar adventures with my old Coulter blue tube 17.5"f/4.5 I'd give anything to have it back. Edited by actionhac, 18 April 2015 - 07:34 PM. I just found out the diagonal mirror in the DS-10 is supposed to have offset. 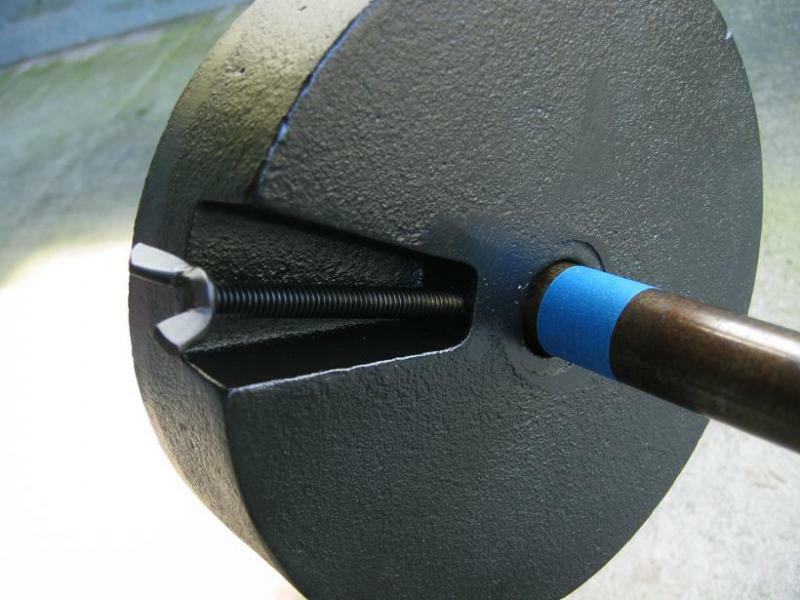 It should be 3/16" closer to the primary and 3/16" farther away from the focuser. 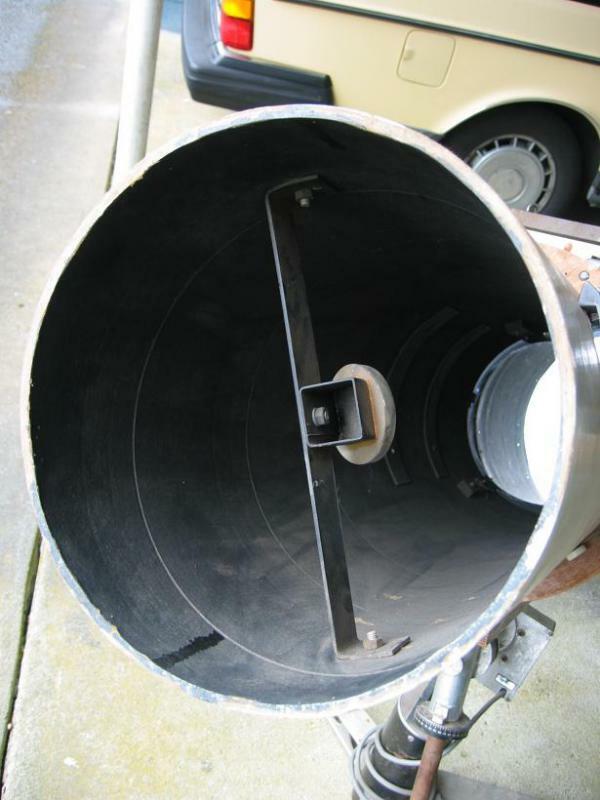 Meaning 3/16" away from the optical axis of the telescope tube and 3/16 away from the centerline of the focuser tube. This is all because of the fast focal ratio. I don't know how important it is but I probably better make it right. This is from the official factory Meade DS-10 manual. The DS-16 manual says so too. From what I've read, the offset is useful for AP but not for visual observing, it unnecessarily complicates setup and collimation. I thought I would look at it today. It looks like mine has offset, but away from the primary. That could be why Coulter never mentioned diagonal mirror offset in the f/4.5 Odyssey, the Odyssey's were designed for visual. the thing is, if you collimate a really fast newt by centering the reflections of things in the focuser, IF you had the degree of freedom to "slide" the secondary in-plane toward the far side of the tube and toward the mirror, it would be offset but everything would be concentric in the focuser. I'll give that a try, slide it in-plane to the far side of the tube, that would give me what Meade wants, 3/16" away from the focuser and 3/16" closer to the primary. It doesn't seem like the support has that kind of movement but it should if Meade built it that way. Here's the support system, which reminds me I've got to mow the lawn today. The cell is interesting, here you can see a large gap which allows airflow around the mirror. It is interesting that, from the factory, the 10" had a much larger airflow gap than the DS-16 did. When I scooted the mirror cell back so the entire primary showed in the secondary, the gap on mine was enlarged and it did improve cooling some. 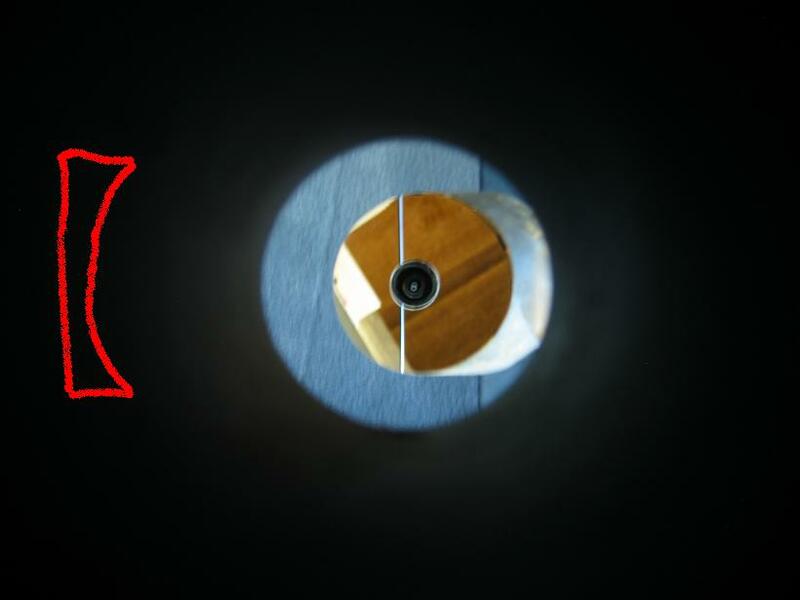 What does it look like down the focuser? does the secondary appear as a circle concentric with the focuser? How 'bout taking a picture straightdown the OTA axis? is the secondary centered, or is it already offset and glued in place that way? notice this image of a Tak epsilon. The secondary is really offset from the center of the tube/spider by that much. Also think of one of those conic section models we used to have at school. The end of an ellipse cut across the cone at a 45 degree angle would appear off-centered when viewed looking straight down on the cone's axis. I never had a 2nd thought about owning the back breaker DS16 or the smaller DS10 back in them days as i was never happy with any fast Newt back in them days. I measured the secondary and its mechanically in the center of the tube looking straight down the optical axis. The view down the focuser tube shows the secondary mechanically offset away from the primary, the opposite of what it should be. You cannot see the mirror clips even with the focuser racked all the way in unless you move your eye off axis and force yourself to look for the edge of the primary. I'm not so sure I have the range of adjustment I need to make it right. I noticed the copyright on this manual is 1985, I wonder if the previous method was center the secondary on both axis, my scope is probably older than 1985 since its a sky blue tube. Edited by actionhac, 19 April 2015 - 07:14 PM. Are you suggesting that Chas is redundant? That he repeats himself? That he says things over and over again? Looks like a poorly executed design. Secondary is too small, spider is upside down and backwards. I wonder what the real aperture is? Maybe an 8"? If and when it ever stops raining and cloudy at night and I'm not tired from work hoping for a multi-hour session with the DS-16 Dob.Expecting spectacular summer views.